Changing up your skincare seasonally is just as important as putting away your winter sweaters and bringing out your bikinis and shorts. 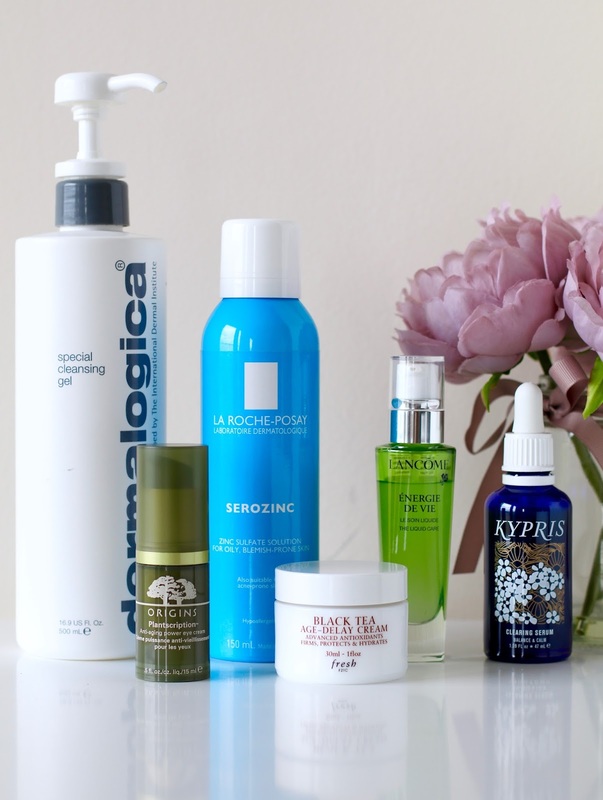 I never really thought about changing my skincare routine seasonally until a few years ago. Before I used the same products every day, occasionally adding or switching up a product depending how my skin was behaving at the particular time. 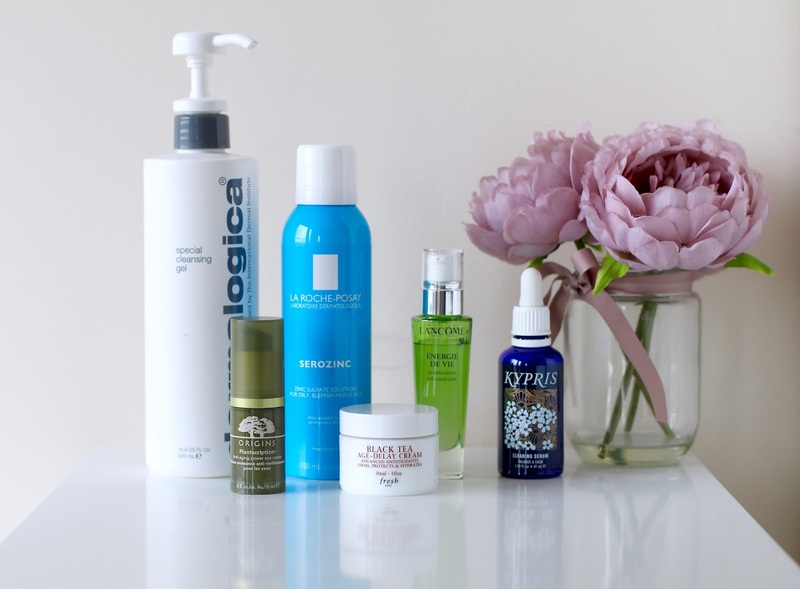 So I decided to do an updated skincare routine for summer seen as I have changed up a fair few products from my morning winter skincare routine that I posted some months ago. I’m not going to talk too much about this product seen as I have already done this before in my Winter Morning Skincare Routine. Plus this is just my staple cleanser as it is gentle, which is great for my sensitive skin, and it makes my skin feel lovely and clean and soft. I raved about his product in my Emergency Skincare for Blemish Prone Skin post and the feeling has not gone away. Now on my third bottle and still loving it, plus I have already purchased few back ups! One of the key ingredients is zinc sulphate, which helps to target oily and blemish prone skin leaving it less shiny while promoting your skin to healing and regenerate. Definitely something to pick up if you want to tame your oily blemish prone skin – plus it’s less then £10! Win win. I’ve been trialling this for a solid two weeks and so far I have seen a difference with my dark circles under my eyes, either that or I’ve been sleeping more, which I highly doubt because I’m up at the same time almost every day. Although it states about being anti-ageing I have yet to notice these effects. Granted I’m only in my 20s, but I do have an annoying line under my left eye which has improved with other products. However, saying that, it usually takes me around month or two to notice a difference with my eye area. Not sure why, but it seems like my eye area likes to be late to the party. Aside from that I love the texture, and the fact that it sinks in fairly quickly without me having to constantly dab my eye area for 5 minutes praying it hurries up so I can do the rest of my face. But I’ll keep you posted with my verdict either here on my blog or over on Twitter. I’ve heard so much about this brand from beauty bloggers, skincare enthusiasts and many other sources, so naturally I wanted to try a product for myself. I decided to purchase their Clearing Serum as I was suffering from a bad break out and wanted another product to help out my skin. Upon first glance the packaging is beautiful, the bottle reminds me a bit of Sunday Riley’s Luna oil, but don’t worry the product inside isn’t blue – but I’ll get to that in a sec. Or maybe now. I was slightly concerned when I first used the product as the serum looks… shall we say, odd. It’s definitely not something I would willingly put on my face without knowing exactly what it was. Unlike most serums that are clear or opaque, Kypris Clearing Serum is muddy. At first I thought I had a bad batch, but thankfully found out that this was what it was supposed to look like. Phew! Crisis averted. After using it most days I think I’ve fallen in love. My red post-spot skin has started to clear up quicker than it has done previously and I usually only get a few tiny spots that disappear quite quickly. Lancome’s newest skincare range Énergie De Vie has three products in the UK (America has many more, but hopefully Lancome will bring them over soon). Seen as I already have a toner and an overnight moisturising mask I chose to try the Liquid Moisturiser, which has since replaced my Body Shop Vitamin C moisturiser and my Charlotte Tilbury Magic Cream. Not because I don’t like them anymore but I find that these are better for my skin during winter as they (the Magic Cream especially) is very rich and hydrating, which isn’t so great for oily/combination skin in the summer. Whereas Lancome’s Liquid Moisturiser is perfect for summer as it is lighter, sinks in super quickly and you only need 1-2 pumps. It still gives my skin a shot of hydration, but it also brightens my once dull and tired looking skin giving it the perfect summer glow. Even though the Lancome moisturiser is my summer go to my skin has the occasionally day where it needs a pick-me-up, which is where this beauty comes in. Fresh has recently celebrated it’s one year anniversary of being available in the UK and I cannot believe it didn’t come here sooner. Not only are their products coveted but your bound to see at least one of their products in beauty bloggers Sephora hauls. The Black Tea range is full of antioxidants and improves skin texture and elasticity. The Age Delay Cream visibly reduces fine lines and improves your skin, making it smoother and firmer and is amazing at giving you all day hydration when your skin is feeling dehydrated or needs to perk up. Dermalogica have some amazing products, and every time I go to one of their concession they are so helpful.